Maudle (TUZ) Industrial Co., Ltd., established in 1987, is located in the central Taiwan. 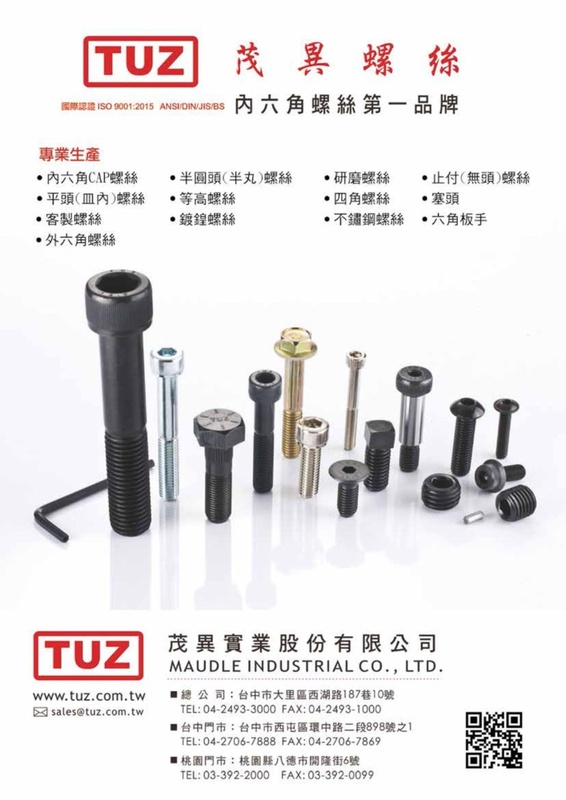 As a premier professional fastener manufacturer, TUZ is dedicated to supplying wide range styles of hex socket screws from high strength alloy steel, carbon steel to stainless steel. The products meet various international industrial standards including German, United States, Great Britain, Japan and ISO; Range from M2 to M24 in metric sizes and #0 to 1” in Imperial Size. Our products suit multiple industries, such as machinery, electric appliances, molds, automotive, high-tech constructions and high-speed transportation. In addition to the standard sizes, our well-trained technicians are able to produce customized unique bolts or screws to satisfy the special requirements of our valuable customers. We believe that the future of TUZ depends on our commitment to quality. Since 1995, we have been certified by the BVQI (Bureau Veritas Quality International N.A. INC.) according to ISO-9001. In order to enhance product quality, we have established our own quality laboratory since 1998. One year later, the laboratory also got the approval by the CNLA. Besides, the laboratory is registered in U.S.A. for the approved laboratory of FQA as well. In terms of operating process control, TUZ has conducted ERP system since 2001 to assist division managers overseeing every single process in each department. Guaranteeing the best quality for all customers is our top priority and sincere promise. TUZ is still growing healthily in the past 3 decades. In order to provide domestic customers with efficient service, TUZ has set up two sales centers in Taiwan during 90s. In addition, TUZ set up Morgan Hardware Co., mega production center, in Kunshan, Mainland China in 2000. It occupies over 20,000 square meters and has 350 employees. We also have several sales centers in major cities such as Guangzhou, Tianjin, HangZhou and so on. 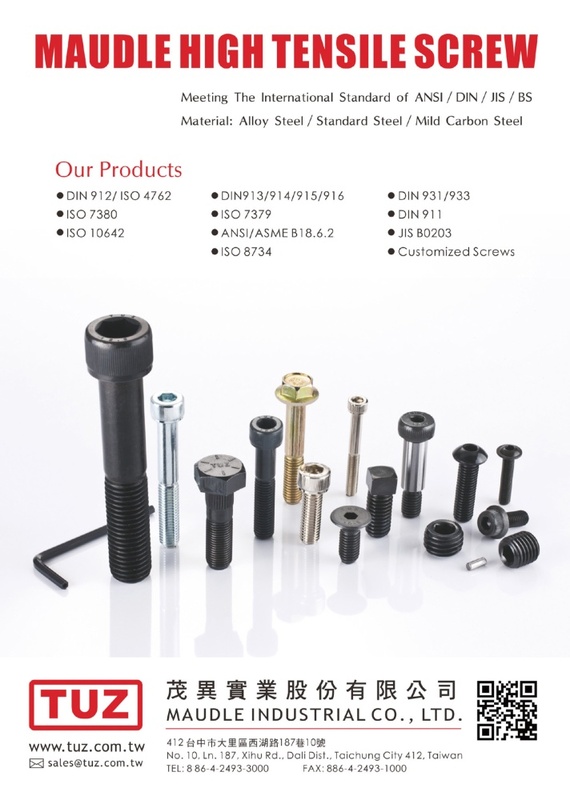 TUZ fasteners have established excellent reputation and loyal customers around the world, particularly in Asia and North America market. We will continue to expand our sales channels and benefit all customers in the coming days. From raw material to finishing product, TUZ insists on supervising every single process prudently through our quality control system. Due to this persistence, every single screw with TUZ marking represents top-notch quality. We hereby sincere promise to provide our customers with premier quality products and customer service.